Not properly attired for the Firth of Lorn. 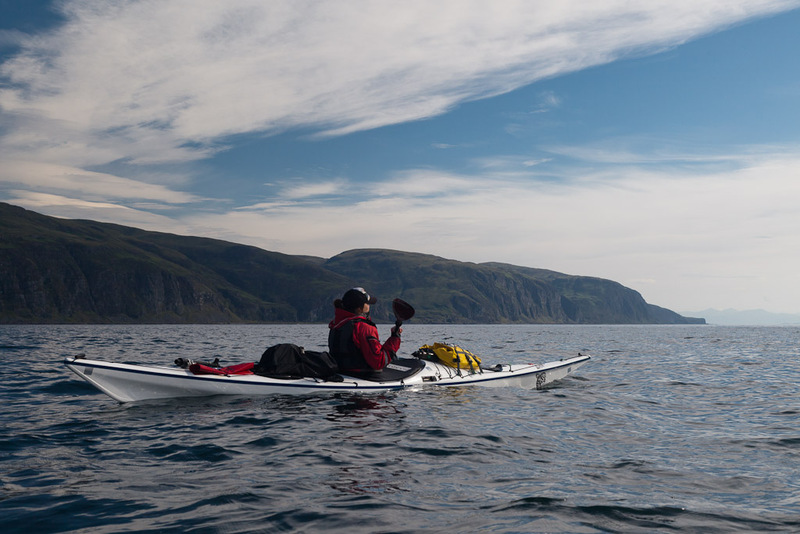 As we paddled away from the cliffs of Mull's Laggan peninsula the wind gradually dropped. We had expected a rough crossing and so we had put our cags on. 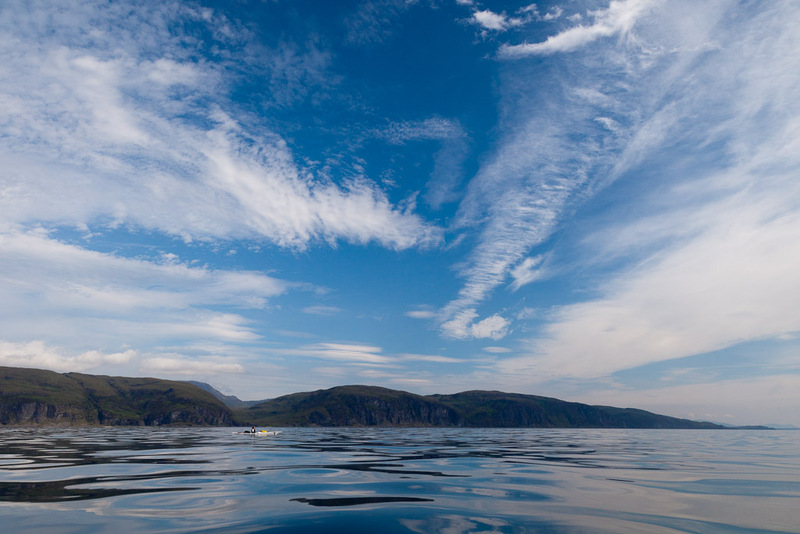 The salty sweat from our foreheads stung our eyes and it became difficult to see in the glare of the midsummer sun. ...that we took off our cags and stashed them away. 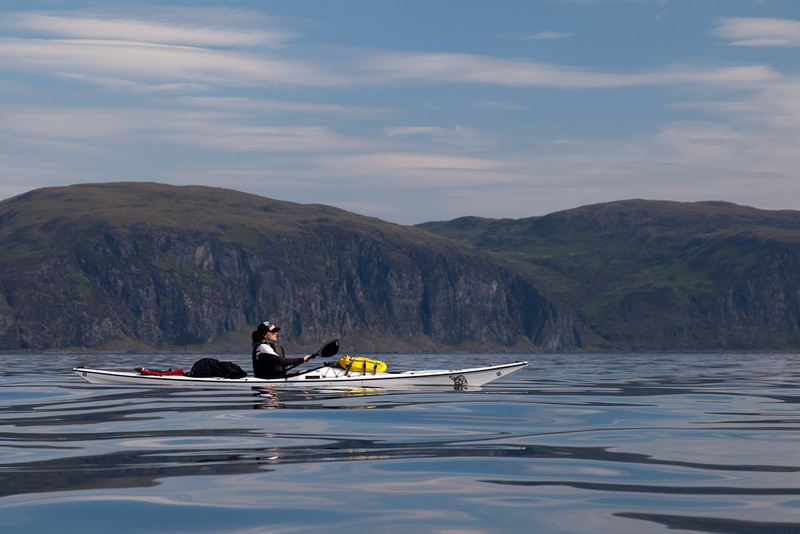 As the sun rose high in the sky and the cliffs slipped away behind us, a glassy calm settled on the Firth of Lorn. 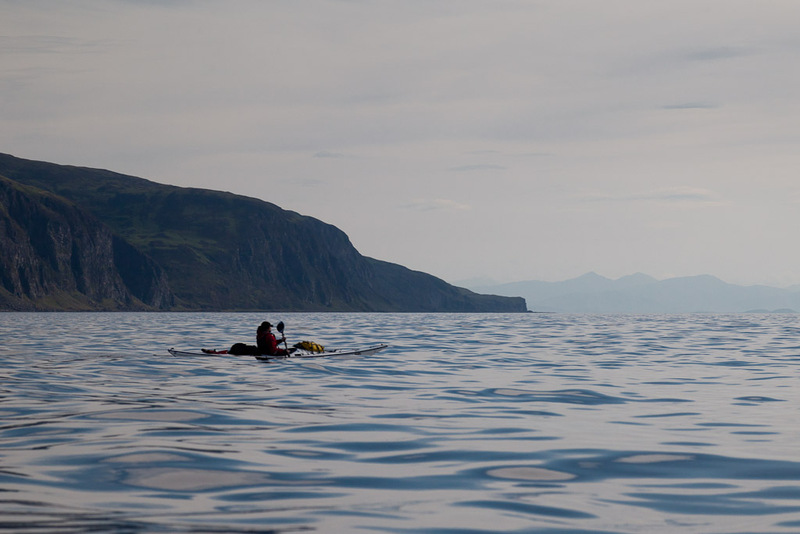 there was not a breath of wind and not a sound disturbed the still air.